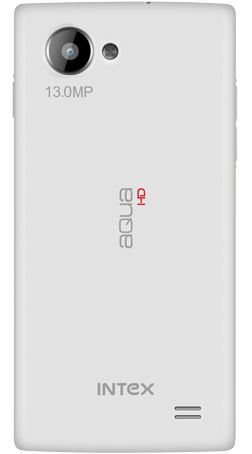 Intex Aqua HD is here to provide you a super combination of latest features and power performance at an affordable range. It is a Dual SIM Smartphone meant for everybody! 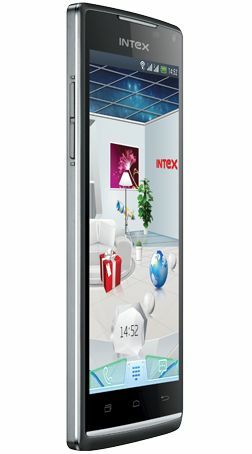 Revel in each moment spent on the all new Intex Aqua HD's 4.7 inch capacitive Touchscreen that displays 16M colors vibrantly on the screen. The 720 x 1280 pixels effective HD resolution on this TFT screen is all set to blow your mind with its clarity and high image quality. 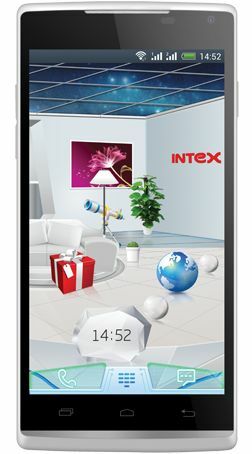 Experience the latest Android 4.2.1 Jelly Bean OS on this new Smartphone from Intex. The powerful 1.2 GHz Quad Core processor with MTK 6589 chipset gives this phone the boost to perform all the apps quick and smooth. 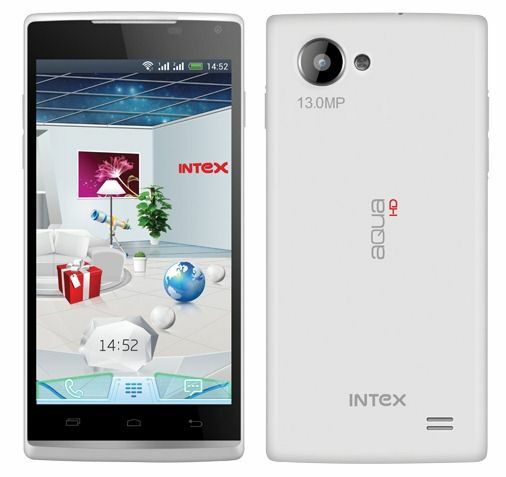 Make the whole world come to your mobile device with Intex Aqua HD! You can connect to high speed internet via Wi-Fi, GPRS, GPS , AGPS and WAP on 2G and 3G connection. It has Micro 5 pin ports, Bluetooth and USB port for sharing any content of the phone with other devices. Capture beautiful pictures with 13 MP in-built camera in the rear of this phone. You can also use the 5 MP front camera for taking self portrait or video chat with your friends and family. The camera also has Flash light so that you can click in low light conditions and the AutoFocus function helps in focusing on your subject in a crisp manner. Hence, improving the quality of the pictures you can click on your phone. Get your daily doze of entertainment anytime you want with Intex Aqua HD as it supports all the popular video and audio formats on its media player. Also you can tune into to your favorite FM radio station anywhere and everywhere you please! Experience the thrill of playing pre-loaded games such as Racking Moto and many more. 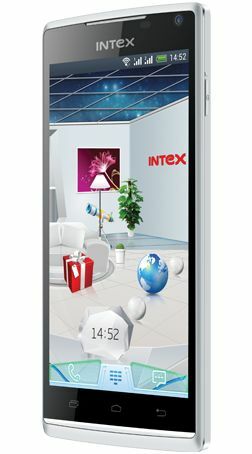 Get up to 5-6 hours of Talk time and 300 hours of Standby Time on this Smartphone as it has a powerful 1800 mAh battery. The Smartphone has 4 GB of ROM and internal memory of 923 MB. You can extend the memory up to 32 GB.